On September 11, 1918, a happy flock of 15,238 fans filed out of Fenway Park, having seen their ace right hander Carl Mays shut down the Chicago Cubs on three hits for a World Series clinching 2-1 win. It was the Red Sox fourth world championship in seven years and their fifth overall. Little did those fans realize the ups, and mostly downs, they and generations of Sox fans yet-to-be-born would endure before a sixth world championship banner would be raised at Fenway. Boston baseball traces its roots to the 1870's. The enthusiasm and support Bostonians gave to their National League team convinced Ban Johnson that Boston would be a strong charter entry in his new American League. He was right. The Boston Americans began play April 26, 1901 with a 10-6 loss to the Baltimore Orioles. Boston finished second that first season, third in 1902, and then won the first World Series in 1903, defeating Pittsburgh. These teams were anchored by legendary hurler Cy Young. Already in his late 30s, Young won 33, 32 and 28 games in 1901-03. By the end of that year the finances of Red Sox owner Harry Frazee were spiraling downward and in trying to right his financial ship, Frazee sunk the Sox. In the most infamous transaction in baseball history, Frazee got out of debt by selling Ruth to the Yankees, giving birth to the "Curse of the Bambino," a long-lamented reason given by Sox fans for the misfortunes that always seemed to overtake their teams at crucial times and derail their efforts for a championship. But Frazee didn't stop with Ruth. He gutted his franchise during the next few years by sending the Yankees Hall of Fame pitcher Herb Pennock, and solid players such as Joe Dugan, Everett Scott, George Pipgras, "Bullet" Joe Bush and Sam Jones without receiving adequate compensation. These transactions sparked a heated rivalry between the two franchises which continues unabated today. Perhaps the most devastating loss for the Red Sox during this time was Ed Barrow, the era's most effective general manager. It was Barrow who brought all this talent to Boston, and when the Red Sox let the Yankees hire him away, they condemned themselves to two decades of second division mediocrity while Barrow built the Yankee dynasty. Thomas Yawkey bought a dismal, down-and-out franchise in 1933, and immediately committed the money necessary to turn it around. He started by adding veteran stars such as Jimmy Foxx and Joe Cronin, and during the next decade he mixed in home grown talent such as Bobby Doerr, Johnny Pesky, Dom DiMaggio and a fresh-faced slugger from San Diego named Ted Williams. This lineup of sluggers became one of baseball's best teams in the 1940's. In fact, the Red Sox have always turned out great hitting talent, beginning with Williams, considered by many the greatest natural hitter in history. In 1960, Williams passed the slugging baton to Carl Yastrzemski and a new generation of heavy hitters that included George Scott, Rico Petrocelli, Reggie Smith and Tony Conigliaro. They in turn gave way to Jim Rice, Fred Lynn, Carlton Fisk and Dwight Evans in the 1970's and '80's. But this offensive firepower could not break the "Curse of the Bambino," and for eight decades the Red Sox fell victim to some of the most heartbreaking near-misses any team and its fans have endured. 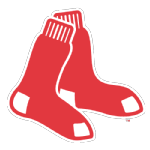 The Sox earned World Series berths in 1946, 1967, 1975 and 1986, losing each series in seven games. Twice the Red Sox played American League tiebreakers, both times at Fenway Park. They lost them both. They tied Cleveland for the 1948 pennant, only to be clobbered 8-3 in the playoff game. They tied the Yankees for the 1978 Eastern Division title only to lose an excruciating 5-4 game at Fenway. The Sox also lost playoff series to the hated Yankees in 1999 and an especially tough one in 2003. They also lost the 1949 pennant when, with a one-game lead over the Yankees, they came to New York for the last two games of the season and lost them both. The Sox are also one of the few American League teams to lose a regular season race by a ½ game. A players strike at the start of the 1972 season wiped out the first weeks of the schedule and caused each team to play a different number of games. Detroit played one more game than Boston. The Tigers won the odd game and took the American League East title with a record of 86-70 to Boston's 85-70. Finally, 101 years after the Boston Americans won the first World Series, 86 years after Carl Mays won the 1918 World Series, and 84 years after Harry Frazee's fire sale, the Red Sox reached the promised land in spectacular fashion. Led by ace Curt Schilling and sluggers Manny Ramirez and David Ortiz, they won the franchise's eleventh pennant in 2004 by becoming the first baseball team to ever win a seven game postseason series after trailing 3-0. To make the victory sweeter, they did it against the rival Yankees. They then dispatched the Cardinals in four straight in the World Series to raise their sixth World Championship banner on the flagpole of Fenway and burying forever the Bambino's curse. Continuing to contend throughout the decade, they returned to the Series again in 2007, vanquishing upstart Colorado in four straight. The Boston Red Sox have won more than one-hundred games during a season three times  1912 (105-47), 1915 (101-50) and 1946 (104-50) and lost more than one-hundred games during a season seven times  1906 (49-105), 1925 (47-105), 1926 (46-107), 1927 (51-103), 1930 (52-102), 1932 (43-111) and 1965 (62-100). staring at the weeping street sign that says "Yawkey Way,"
thats about to begin inside Fenway. but stops going to Lucy for therapy. Source: Pine Island Journal (Reprinted with author's permission). 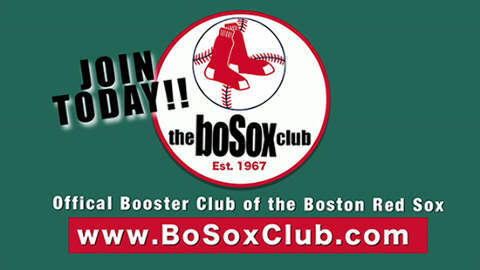 Did you know that the first person to hit a ball over the "Green Monster" in Fenway Park was Hugh Bradley in 1912? However, at the time the wall was twenty-five feet high and covered with advertisements.